A successful trade show is powered by exhibitors who feel welcomed, appreciated, and energetic at your event. To facilitate the success of your exhibitors—and the success of your trade show overall—special mind needs to be paid to your expo floor. Convention Services of the Southwest, Inc. (CSS) offers a complete range of exhibitor services to your vendors, ensuring they access to all of the furnishings and services required to make their best showing at the event. From designing your booth to last minute details on opening day, our CSS exhibitor services representatives are available to assist you. Simply access our online ordering system to place orders or see us face-to-face on the show floor. CSS is here for you. 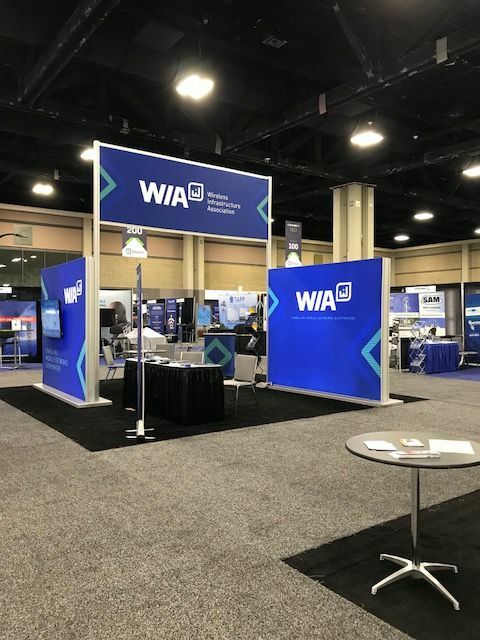 We aim to help your exhibitors design the best possible booth, maintain its appeal throughout the duration of the convention, and give themselves the identity they need to be successful. Not everything can happen on a strict schedule and often, exhibitors are left scrambling to get set up and put together for show open. 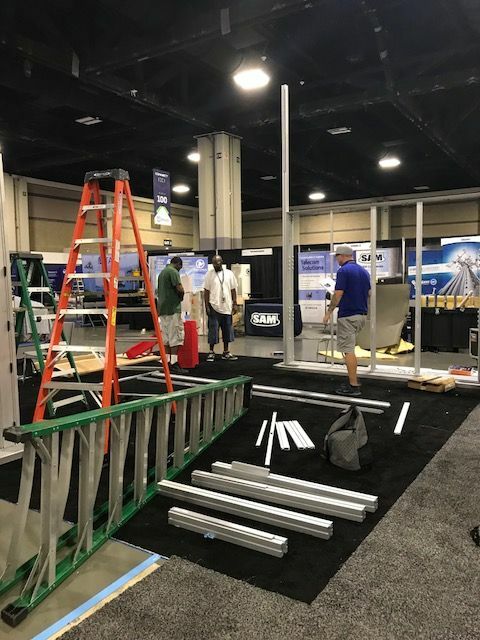 To help diffuse the situation and make sure everything is ready to go, we offer installation services that involve setting up all aspects of the booth. And, if you need to leave in a hurry, count on us for dismantling and proper packaging up of your materials. At CSS, the face-to-face market means a lot to us. We’re here to help you get your message out! The look of your booth and the branding conveyed are critical to the experiential success of your participation in the show. Our designers will provide both graphic design and production services to help you spread your message and to create the right atmosphere. Let our staff work with you to create a booth that fits your needs with the colors and materials you choose. Whatever your branding needs are, we will help you deliver the right message. You can also choose from one of our pre-designed rental displays. All you have to do is decide on the color and style of your modular booth, add your message, logo, and branding requirements and simply Show up and Show off at a price you will find very competitive. Our material handling ream will deliver your equipment from our warehouse to your booth space. Simply put: you send your freight to us and we get it to your booth, on time and ready for you. Is your representative delayed? A quick call to us and we will make sure your booth is ready and setup when you get to the show site! Our qualified and certified labor uses the most efficient machinery and processes for loading and unloading of all freight and materials, employing a safety-first approach, keeping injury to people and damage to property at a minimum. To facilitate the success of all exhibitors at a show, CSS takes the time to make sure every exhibitor need is met. From booth planning and coordination, to setup and takedown, to furnishings and cleaning, and beyond, we do it all. Contact us today at 505-243-9889 to discuss the wide range of exhibitor services we pride ourselves on providing.